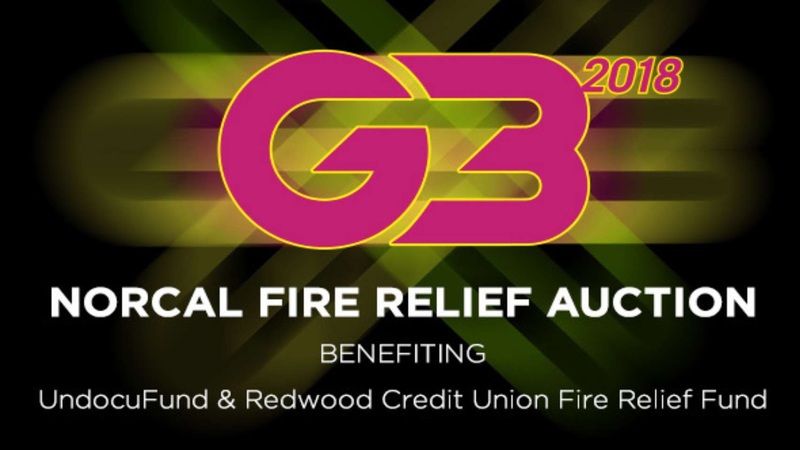 The auction will feature autographed collectable guitars from JOE as well as his G3 Tour-mates (John Petrucci & Phil Collen), in addition to guitars signed and donated by fellow Bay Area Residents: Carlos Santana and Neal Schon. 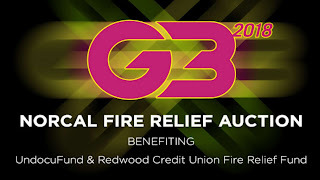 Other items up for auction include a Huey Lewis signed harmonica and a Bill Gibson signed drum head, along with signed posters and memorabilia from past G3 tours. Net proceeds will go to North Bay Fire Relief, including UndocuFund, directly assisting the affected undocumented residents of Sonoma County. The auction is being curated and administered by Bananas at Large. SATRIANI’s 16th solo album, What Happens Next, was released today (January 12, 2018) on Sony/Legacy Recordings. His longtime touring entity, G3, opened last night in Seattle featuring Dream Theater’s John Petrucci and Def Leppard lead guitarist, Phil Collen, joining SATRIANI. The G3 tour will conclude on February 25 in Milwaukee, WI. The UndocuFund for Fire Relief in Sonoma County was created by local immigration service providers to directly assist undocumented Sonoma County residents who are victims of the Northern California fires. With the support of more than 7,500 donors, the fund has provided financial aid to almost 1,000 families, to date, benefitting nearly 4,000 people, with hundreds more still to be screened. One hundred percent of all donations go to victim support, with partners covering all administrative costs. To learn more about the fund’s impact on victims and other details, please visit www.undocufund.org. Joe’s touring band: Mike Keneally (guitar and keyboards), Bryan Beller (bass), Joe Travers (drums).